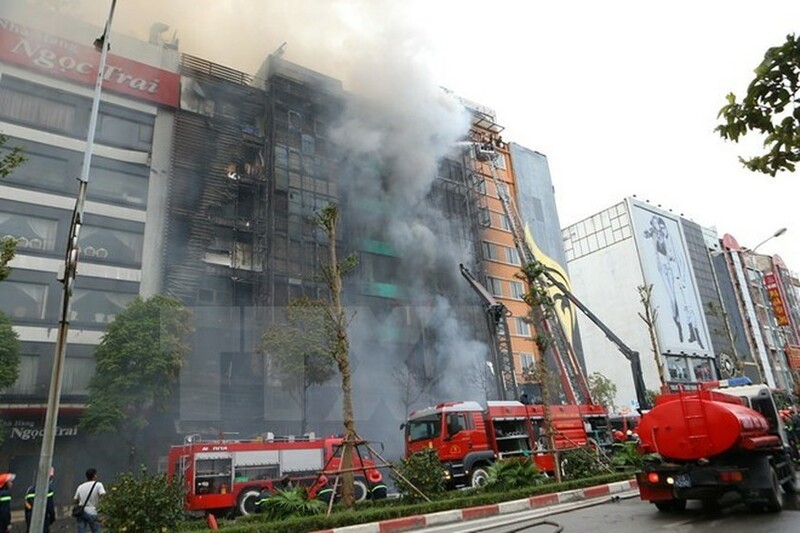 The blaze started at around 1.30pm at No 45 Tran Thai Tong street and soon spread to buildings. The buildings caught up in the blaze were six-to eight-storey structures that housed businesses such as restaurants, fashion stores and karaoke bars. Several motorbikes parked in front of the buildings were also destroyed in the blaze. A five-seat car, located around 200 metres away from the site of the incident, went up in flames. Thick black smoke could be seen from up to several kilometres away.